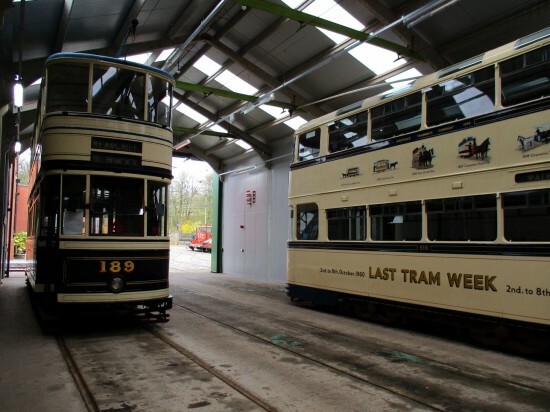 In this short pictorial update we take a quick look around Crich’s tram sheds where two Sheffield trams were stabled side-by-side – one is part of the operational fleet whilst the other has long been withdrawn. We also see Croydon Tramlink 058 out on the mainline. Stuart Cooke provides the photos from a visit on 31st March 2019. Inside the depot with Sheffield 510 and Sheffield 189 at rest. Johnannesburg 60 is also present at the very back. 189 and 510 again looking in the other direction. The two Sheffield cars are seen again. 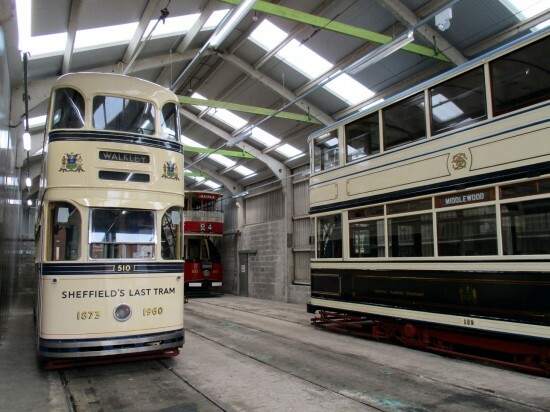 Sheffield 189 is one of the reasons why the National Tramway Museum is located at Crich. 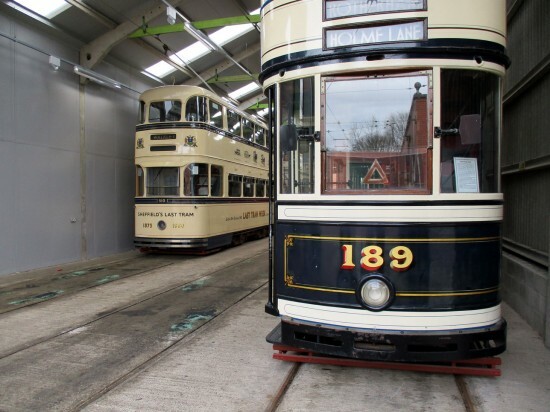 Before Sheffield trams were closed, the Transport Department had offered tram 189 to the fledgling TMS for free as long as it was removed by end of 1960. 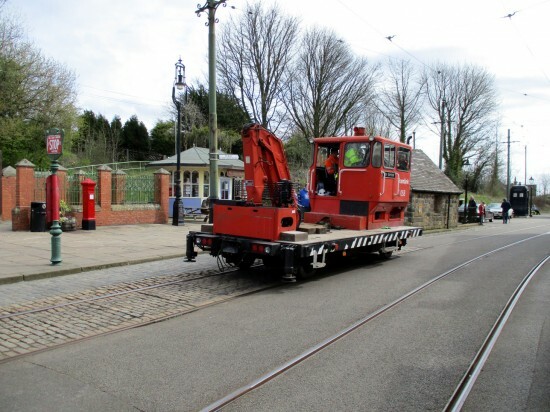 In 1959 the Talyllyn Railway people were removing narrow gauge track from Crich Quarry, saw the large stone workshop and recommended it to our early members as somewhere to store a couple of trams. A visit to the site, idea agreed and the rest is history. The time must come when Sheffield 189 is fully restored to working order. Where’s Glasgow 1282? Normally between Jo’burg 60 and 189 where that big gap is – has someone pinched it and taken it to Blackpool to replace Box 40! ?